Microsoft launched the Surface Laptop and Surface Pro in May. At the respective launch events the devices were showcased in various colours for consumers to pick from. 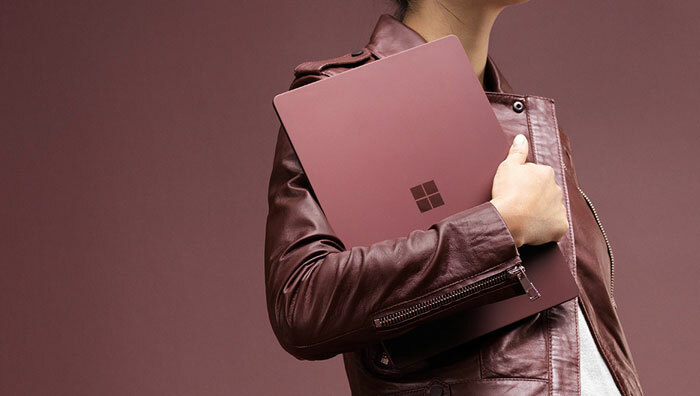 Microsoft was proud of the craftsmanship of these new Surface devices and that extended to the choice of four colours (Platinum, Graphite Gold, Cobalt Blue, and Burgundy) with matching Alcantara fabrics. However, as new Surface devices rolled out to different regions not all colour choices have been available, most were only available in platinum (silver grey) depending upon region. Now Microsoft has decided to provide the full range of colour choices outside of the US. "Today, we're pleased to announce that people in 20 countries can select the colour they find most appealing," wrote Raphael Aquino Jose, Senior Product Marketing Manager, Surface, on the Microsoft Blog. Beyond the US, users can now choose from a Surface Laptop in Cobalt Blue, Burgundy, or Graphite Gold. The precise list of countries with the new choices is as follows: Canada, Austria, Belgium, Denmark, Finland, France, Germany, Ireland, Luxembourg, Netherland, Sweden, Switzerland, UK, Taiwan, HK, China, Norway, Australia, and NZ. If you live in Japan, Hong Kong, and Taiwan you might also be happy to hear that the Platinum finished i7 Surface Laptop is now available. 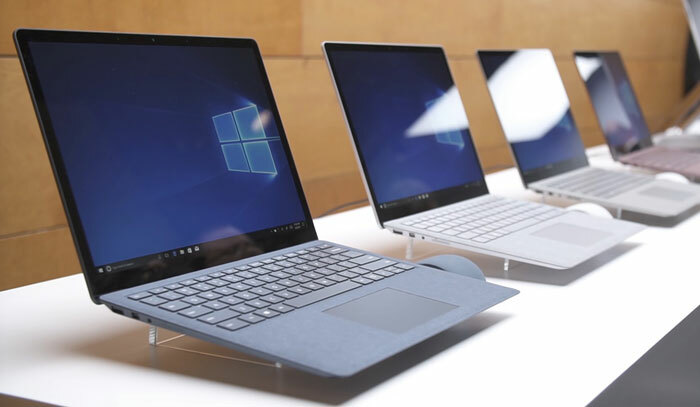 A newsworthy item that accompanied the launch of the Surface Laptop was the new Windows 10 S, for students. This was the 'Windows 10 Cloud' OS we had heard about previously and it basically restricts app usage to those available via the Windows Store. That's rather a tough restriction, made in the name of simplicity and security. For many computers users Windows 10 S will be a bit too restrictive. Microsoft plans to allow Windows 10 S users to upgrade to Windows 10 standard for $50. However, it put in place a scheme where such upgrades would be free if completed before the end of 2017. Perhaps thinking it may shift quite a few Surface devices as Xmas presents for students Microsoft has extended this offer to run until 31st March 2018. $50? Just buy an OEM key for £3 off ebay. Bought one today, works no problem! Though the item got removed by eBay hours later. It's pretty obvious at that price that it's unlikely to be a legitimate key. Cheap keys are unlikely to be from an authorised source, or may be development keys not licensed for retail use. Fake keys may also stop working or may not authorise when they are used. Using such keys may constitute copyright circumvention which is not condoned or encourage by HEXUS. I know this is supposed to be the ‘halo’ windows s machine but if I'm paying that much for a laptop I want a full non crippled OS, although I know there are people that will be fine with windows S.
So IMO MS should make all their products with Windows S but give them all a free option to go to windows pro within the first year. After that initial year it can be the $50 or whatever they want to charge for essentially changing a few ‘hidden’ settings in OS. Tbh that's one thing that bugged me. I didn't go for the upgrade to windows 8 for £20 a while back because the interface didn't seem desktop friendly and windows 10 doesn't have a cost effective option that really differs from just buying a full pro version.